Oscar outcome: The Oscars have come and gone, but this year's dominant issue of "diversity," or really the lack of it, isn't going away. Kudos to host Chris Rock for dealing with this "elephant in the room" with humor, taste and a terrifically funny performance that puts him on the short list of Oscar's best hosts. It's certainly not surprising that no African American actors won Oscars Sunday night since none had been nominated. That's been a hot button topic since the moment the noms for the 88th annual Academy Awards were announced Jan. 14. Diversity isreally a systemicfilm industry problem rather than an Academy problem. If Hollywood doesn't make films with African American or other minority actors and actresses, how can the Academy nominate them? So obviously Hollywood needs to clean up its act before the Academy can start making more diverse noms. The diversity issue did, however, live up to expectations that it would dominate Sunday's ceremony and that it would be the focus of post-Oscars analyses and discussions. Unfortunately, the show also met other expectations.As usual, it was over-long; bloated with too many categories viewers don't understand or care about; featured embarrassing and unfunny banter from some presenters; andgave us too many winners breathlessly thanking laundry lists of people even though their names were now being scrolled at lightning speed across the bottom of the screen so the winners could make better use of their 45 seconds in the global television spotlight. In any case, the Oscar winners arealso all about expectations. Thanks to endless media analyses of the Oscar race throughout the year, anyone remotely interested in the subject had a pretty good idea of what to expect. And with two big exceptions,those expectations were met – aside from"Spotlight" winning best picture rather than "The Revenant;" and Mark Rylance winning supporting actor for "Bridge of Spies" rather than Sylvester Stallone for "Creed." As for the show, the Academy's done worse, but this one really wasn't anything too special. Having attended the Oscars for some 15 years when they were alternating between the Music Center's Dorothy Chandler Pavilion and the Shrine Auditorium, I can tell you that it's not much fun being there. When you're in the room, you're trapped in your seats for four hours or more, including before the show starts when everyone must be seated. Getting out is difficult because the Academy insists that all seats must always be filled so viewers don't think someone didn't show up or walked out. And getting back into the room isn't easy because it's only possible during commercial breaks. It took years of attending, by the way, before my wife and I accidentally discovered that the Mezzanine Bar at the Chandler Pavilion was open during the show and we could enjoy a drink while keeping an eye on the bar's TV set. That made the Oscars a bit like being at the Golden Globes, where for some 22 years we satat ballroom tables downing glasses of warming Champagne while talking to friends asthe show raged on at the Beverly Hilton Hotel. Moreover, because those attending the Oscars are supposed to be in the room about an hour before the telecast, you should be on your way in black tie or gown by 2:00 or 2:30 in the afternoon. Even if you manage to eat a quick lunch before leaving home, by the time the telecast winds up it's nearly9:30 p.m.in L.A. andyou're starving. That's why Rock was able to sell so many boxes of Girl Scout Cookies to those on hand, a stunt that echoed Ellen DeGeneres ordering pizza a few years ago to hand out to hungry Oscar guests. At least the cookies raised money for a worthy cause. Frankly, considering the all-too-necessary military type security that now surrounds the Oscars, Globes and other live events, I'm happierwatchingthem at home with snacks and some well chilled Champagne close at hand. Advertisers reportedly spent between $120 million and $135 million to reach Oscar viewers on ABC. Last year, sponsors paid about $110 million to be on the show, with 30 second spots going for about $1.8 million. This year's cost per spot reportedly was in the $2 million to $2.25 million range. There are typically about 60 30-second commercials in the telecast. While the Oscars' ad revenues are dwarfed by the Super Bowl, which reportedly brings in $400 million to $450 million, they're said to be much bigger than the Grammys (about $75 million) or the Globes (about $42 million).The Academy gets a big piece of the advertising pie as its license fee for the show and that money accounts for most of the Academy's annual budget. EXPECTATIONS:"Revenant" had 12 Oscar noms, the most for any film this year, and was widely expected to win the top prize. It had already won five British Academy BAFTAs, including best picture, director (Alejandro G. Inarritu) and lead actor (Leonardo DiCaprio). Over the last seven years, BAFTA'swinner was Oscar's best picture winner every time -- except for last year. "Revenant"was also expected to benefit from still having a wide footprint in the marketplace. Last weekend it placed tenth at the boxoffice with $3.8 million at 1,645 theatres and a 10 week cume of $170.5 million. It was the only best picture nominee still in the Top Ten. As the Oscar race headed into the home stretch, "Revenant" had the best odds of winning best picture and was enjoying great momentum while Academy members were voting. It looked like"Revenant" would prevail – but that's not what happened. "The Big Short,"which had five Oscar noms, had won the Producers Guild of America's (PGA) outstanding producer award. The PGA and Oscar best picture winners have matched up for each of the last eight years and four times, as well, in the previous eight years. Because the PGA uses the same byzantine preferential voting system that the Academy does, some Hollywood handicappers thought "Short" would win if "Revenant" didn't. But "Short" came up short. 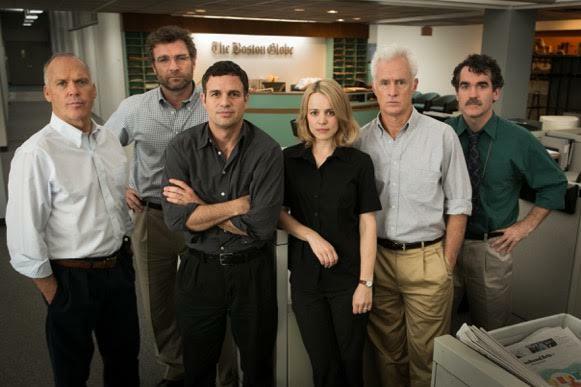 "Spotlight,"which had six Oscar noms, won the Screen Actors Guild's (SAG) best ensemble cast award. Actors are the Academy's biggest branch with 1,138 out of 6,261 voting members. SAG's ensemble cast award has matched up with Oscar's best picture winner for 10 of the last 20 years. Some observers felt having the actors in "Spotlight's" corner would make a difference. And that's exactly what happened. 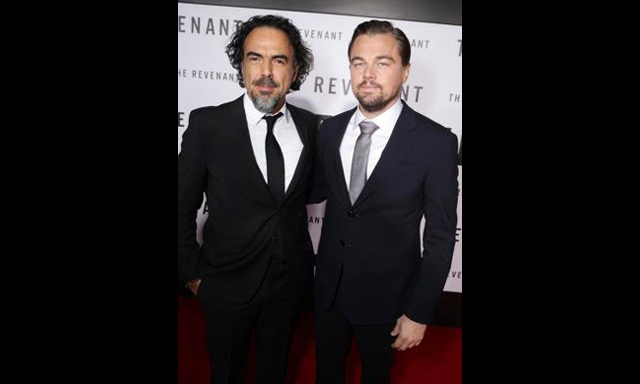 BEST DIRECTING WINNER: Alejandro G. Inarritu for "Revenant." EXPECTATIONS: Only seven times since 1950has the Directors Guild of America (DGA) winner not also received the best directing Oscar. That was the case last year when Inarritu won both awards for"Birdman." This year Inarritu returned to the Oscar race having again won the DGA vote, making him Oscar's directingfront-runner. So, no big surprise that he won. BEST ACTOR WINNER: Leonardo DiCaprio for "Revenant." EXPECTATIONS:DiCaprio won awards as SAG's lead male actor,BAFTA's lead actor, the Critics Choice Awards' best actor and the Globes' best actor-drama. His Oscar win – his first after five previous noms -- was inevitable. BEST ACTRESS WINNER: Brie Larson for "Room." EXPECTATIONS: Larson won awards as SAG's lead female actor, BAFTA's lead actress, the Critics Choice Awards' best actress and the Globes' best actress-drama. Her Oscar victory was also considered inevitable. BEST SUPPORTING ACTOR WINNER:Mark Rylance for "Bridge of Spies." EXPECTATIONS:Sylvester Stallone won the Critics Choice and Golden Globe votes for best supporting actor for "Creed. "He wasn't nominated in the SAG or BAFTA races, which were won, respectively, by Idris Elba ("Beasts of No Nation") and Rylance ("Spies"). Complicating the situation, Elba didn't land an Oscar nod, but Rylance and Stallone both did. And so did Tom Hardy for "Revenant," whose strength in multiple categories might have swept Hardy along. Despite this race looking like it could go various directions, Hollywood handicappers felt Stallone had the edge for sentimental reasons. It marked his return to the Oscar spotlight for the first time since 1977 whenhe was nominated for writing and starring in "Rocky. "Although "Rocky" won for picture, directing and film editing, Stallone lost. "Creed" brought Stallone great reviews, which coupled with the feeling that this was probably his last shot at an Oscar win added to his front runner status. Unfortunately for Stallone,Academy voters showed just how unsentimental they can be. BEST SUPPORTING ACTRESS WINNER: Alicia Vikander for "The Danish Girl." EXPECTATIONS:This race was split between Vikander and Kate Winslet for "Steve Jobs. "Vikander won in the SAG and Critics Choice races while Winslet prevailed in the BAFTA and Globes votes. But SAG typically trumps all other acting wins as an Oscar bellwether because many SAG members are also in the Academy's acting branch, the largest of all the branches. So no big surprise that she won. Bottom line:There's a whole year to go before the 2017 Oscars, but insiders are already expecting the next best picture front runner to be "The Birth of a Nation." Fox Searchlight Pictures bought worldwide rights to "Birth" for $17.5 million in January in a super-heated bidding war at the Sundance Film Festival. Searchlight was determined to prevail having previously triumphed at the Oscars and the boxoffice with a similar slavery driven storyline-- "12 Years a Slave," which won three Oscars, including best picture, in 2014. It grossed an impressive $56.7 million domestically and about $131 million more internationally. "Birth," from first time feature director Nate Parker, will open wide Oct. 7 as the next awards season is heating up. It's the story of Nat Turner, an American-born slave who in 1831 led a rebellion in Virginia to free African Americans. Parker also wrote the film's original screenplay and stars as Turner. Clearly, given "Birth's" booming Oscar buzz at Sundance, it's likely that the 89th annual Academy Awards will be more diverse than the 88th were.